National Structures, Inc. is a Syracuse, New York based corporation that provides General Contracting and Construction Management Services for the retail industry and developers throughout the East Coast. National Structures, Inc. was established in 1996, offering considerable expertise and covering a broad spectrum of construction projects including freestanding buildings, both steel structured and conventional construction, tenant fit-outs, and major renovations. We have a solid team of highly experienced Field Superintendents supported by dedicated Project Managers. Our goal is to provide on-time construction services using competitive pricing with a consistency for high quality workmanship for the retail industry. Our clientele includes such names as Applebee’s Neighborhood Grill & Bar, Arby’s, Brixmor Properties Group, Inc., CoreLife Eatery, Family Dollar Stores, Inc., Five Below, Inc., Five Guys Burgers & Fries, Metro Mattress, “Herb” Philipson’s Army and Navy, Planet Fitness, Olympia Sports LLC, Rockin’ Jump, Ruby Tuesday, Inc., The Sherwin-Williams Company, Verizon Wireless and Owners-Developers of Shopping Centers. Our relationship with these clients has remained extremely strong and we look forward to many more years to come. 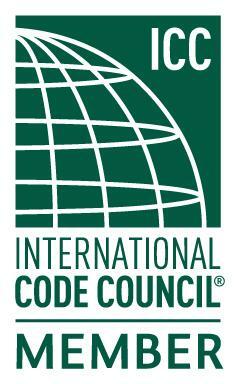 We are members in good standing of the Syracuse Builders Exchange, the National Federation of Independent Business (NFIB) the International Code Council and hold licenses in the following states: Connecticut (Major Contractor), Florida (Certified & Qualified), Maryland (General), New York (General), and Pennsylvania (General). In 1998 Entrepreneur Magazine ranked National Structures, Inc. #61 out of 100 “America’s Fastest-Growing Small Businesses”. 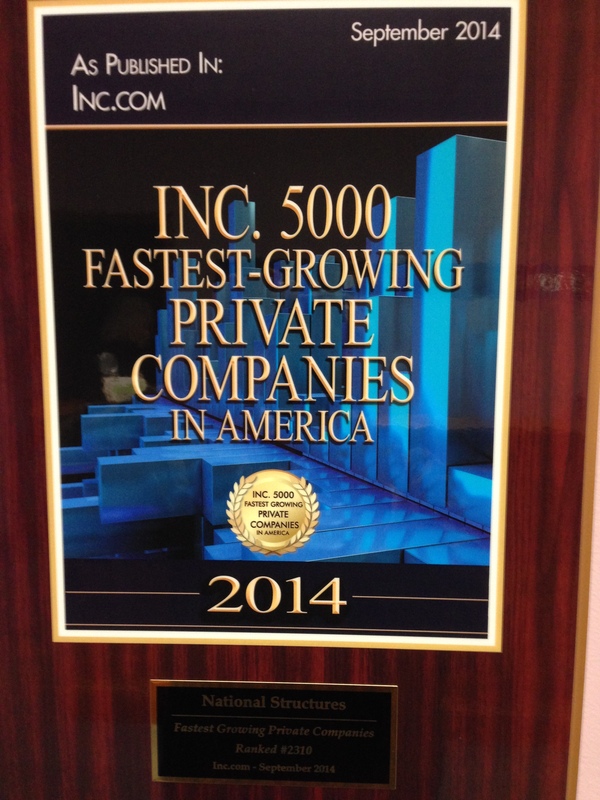 In 2014, Inc. Magazine recognized National Structures, Inc. as one of the “5,000 Fastest Growing Private Companies In America”. Our commitment to honesty, integrity, and quality is above and beyond any in the industry. Our goal is to provide on time completions and competive pricing with consistent high quality workmanship. Our company is prepared to meet these goals with the awareness of the increasing performance demands placed on the construction industry due to the continually shrinking time allowed for a new or remodeled space to be completed. …We take pride in showing up when we are supposed to and leaving no loose ends. Our philosophy is to listen, ask questions, and then listen some more. We select only highly skilled and reputable subcontractors, and we work closely with them to ensure strict compliance with plans and specifications, long lead item purchases, and critical path management. Our projects are closely monitored on a daily basis, and we do not allow any non-essential change orders to be generated. …We strive to convert every client to a positive referral and to establish long lasting, enduring relationships. Our combined 122+ years expertise in the construction field includes retail stores, restaurants, shopping centers, office buildings, medicial facilities, convenience stores, and high-rise complexes. We are confident that we can meet your construction project needs and would welcome the opportunity to quote any of your upcoming projects.